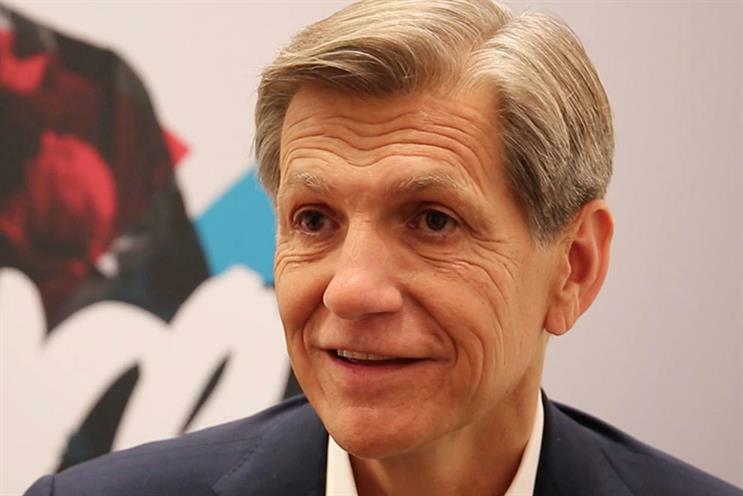 Marc Pritchard, the chief brand officer at P&G, has told Campaign he wants to see agencies employ fewer account managers and focus much more of their resources on creative talent. In his speech to today's ISBA conference, which echoed his address to American advertisers last week, Pritchard complained that creatives typically account for "less than half" of agency resources and issued a call for agencies to "strip away anything that doesn’t add to creative output". Questioned by Campaign afterwards what he thought that proportion should be, he answered he would like to see it grow to "more like three quarters". Agencies could get there by rationalising their account management line-ups, he suggested. He explained he had less of problem with the quality of account managers – he described his own business relationships with the likes of Debby Reiner, chief executive of Grey New York, and Tamara Ingram, global chief executive of J Walter Thompson as "tremendous" – than with their quantity. "The issue is there’s too many of them. They should be more focused, more senior, and fewer." However, the issue was not entirely of agencies’ own making, he admitted – the "buddy system" in which each brand-side person is paired with an account manager meant there was a proliferation of people on both sides. "We’re as much of the problem as anyone," he said in his speech. "We’ve got to make our own change. Focus on the few people that are really the decision makers." He took a similar line on agency planners: "I believe that clients, along with their account managers, should be able to do strategy. We, clients, should be able to do consumer insights. "That doesn’t mean there’s not a place – what I’ve seen is some great planning work that offers a different view, usually a landscape view, that maybe we hadn’t thought of." Then there’s the "excess buildings and overhead" Pritchard called out in the speech. While he believes there is plenty of room for agencies to innovate to cut their operating costs, it’s clear this is a broad aspiration – and he doesn’t quite have a fully fleshed out vision for where and how agencies will work in the future. "Just as we [P&G] are doing – we have to look at every cost and decide which of those are going to be passed onto the consumer – I think agencies need to really think that through," he said. "I think there’s going to be a mix [of approaches]. There’s still going to be a fixed group of resources, which are for the major work, which needs experienced people, and which needs to be in cities that are going to attract the creative talent they need. "Then there’s going to be the flow – the fast-cycle work. That could be co-located directly with the brand people. We’re already starting to do that with Grey Possible in Cincinnati." Another of Pritchard’s head-turning calls was for the reuniting of media and creative – a choice that would seem to complement the efforts he wants to see to cut the cost of premises. In his speech, he pointed to Saatchi & Saatchi and Publicis Media in London, which came together under one roof to work on Pampers. But should creative agencies also be aiming to do their clients’ media? "If they did that we’d be really interested in that," Pritchard said. "When you see the integrated model, it’s very appealing." Pritchard’s ANA and ISBA speeches followed one from his Unilever counterpart Keith Weed last month at the IAB Annual Leadership Meeting – the same event at which Pritchard last year called for an overhaul of media transparency. Weed went further than Pritchard, saying that the problems facing digital platforms like Facebook and YouTube were "no longer an advertising industry issue", and that Unilever would pull investment from platforms that "create divisions in society". While Weed suggested the marketing industry was "sleepwalking" when it came to issues like fake news, child exploitation and terrorist content, Pritchard chose to celebrate the progress platforms have made in the last year – offering praise in his speech to YouTube CEO Susan Wojcicki for the action she took to tackle the "Tide Pod challenge" – the dare phenomenon that led to teens eating the brightly-coloured (and toxic) laundry pods. Despite the difference in tone, Pritchard said he and Weed were on the same page. "Most CMOs are looking for the same thing. A year ago we said we’re gonna have zero tolerance – we’ve taken some significant action. "I’ve seen massive changes. They’re really working towards having a brand safe environment. I’m feeling pretty good about where they’re going." Asked if he thinks there is a case for some kind of democratic control of the tech giants, Pritchard said: "Maybe, but we can’t wait for that. The market's moving too fast, which is why we’ve got our own data, performance analytics, making the choices we need to make. My advice to others would be: take control."